Come March and Mumbai will have a cool day, with occasional rains in the daytime. Cloudy will keep the day temperature cold at about 21c till the afternoon. We may expect around 15-20 mms in the day on Sunday. Pune will be rainy and cold on Sunday, with most of the day staying below 20c, at least till late afternoon. Showers in the day will total almost 35-40 mms. A wet day indeed ! After a hot Saturday, Akola region will be cold, with some fairly showers on Sunday. Showers will be only amounting to about 10-15 mms, but well distributed in the day. Mango raw fruits may be damaged, and the mango flowers will be severely affected. Harvested crops need to be covered and protected right away. The Western Disturbance as an upper air cyclonic circulation over Afghanistan & adjoining Pakistan extending upto 3.1 km above mean sea level persists with a trough aloft roughly along Latitude 15.0°N. Due to deepening of the westerly trough into central Arabian sea, a wind confluence is continuing over central India and neighbourhood. The upper air cyclonic circulation lies over north Chhattisgarh & adjoining East Madhya Pradesh extending upto 1.5 km above mean sea level persists. 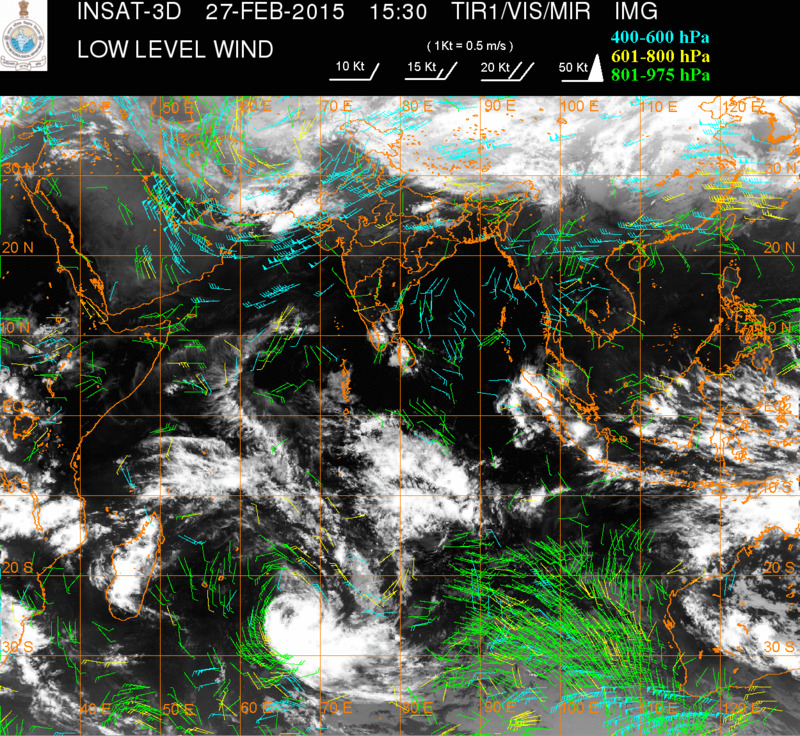 The cyclonic circulation over Comorin area and adjoining Srilanka persists and extends upto 0.9 kms a.s.l. Tamil Nadu gets 1st spell of rainfall after 2nd January this year. Its been a long gap since the last spell fell in Tamil Nadu. Theni, Tirunelveli, Pudukottai and Kanyakumari got most of the rains. Mumbai, with the temperatures dropping on Friday ( 27.2c at Colaba and 28.7c at Santa Cruz), we see the "tempo" for rains building up. The SW winds we estimated are gearing up. With gaining momentum, we can expect about 20-25 mms rain from Saturday night - Sunday night in Mumbai, about 30 mms in Aurangabad, around 35 mms in Pune and a cool day at Roha (konkan) with about 40-45 mms from Saturday Night to Sunday Night. As mentioned earlier, we see rains approaching Maharashtra and Gujarat this weekend. As an upper air trough forms, with an embedded Low over central India, precipitation will commence over South Madhya Maharashtra (Pune, Sangli, Kolhapur) and parts of Marathwada (Beed, Aurangabad) and Vidharbha (Akola) from Saturday 28th night. Light showers along Coast of Sindh, more in the East. Karachi can expect showers on Saturday, upto 10 mms. Rains increasing on Sunday 1st March in Central Konkan. Some stations in Central Konkan and central interior Konkan regions like Roha can get around 15-20 mms. 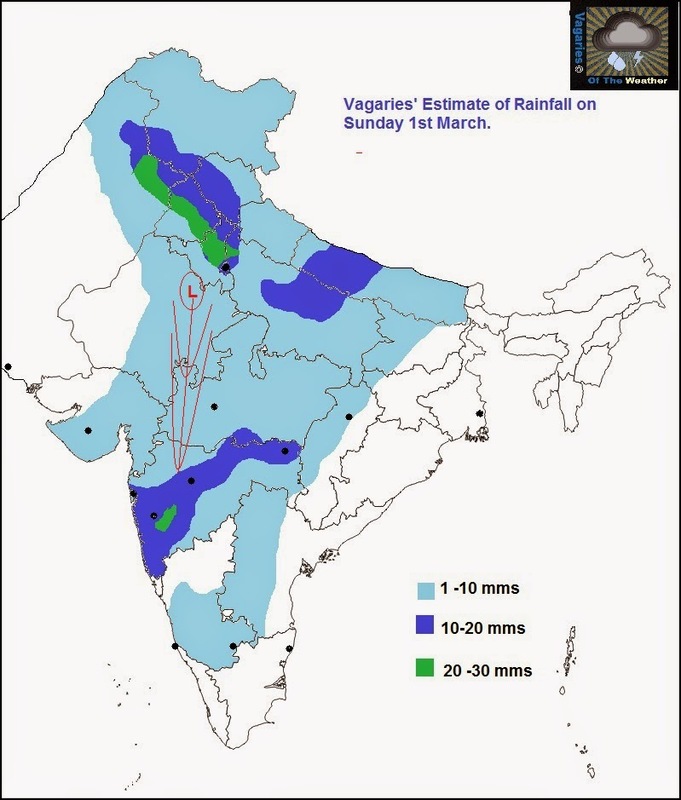 Rains also medium in Madhya Maharashtra and Marathwada. Hails likely in these regions.Heavy falls likely in Mahableshwar and parts of Pune district. Could damage the mango in the raw fruit condition. Showers also expected in Saurashtra on Saturday evening and Sunday. Rajkot could expect around 5-7 mms. I would also estimate light rains (around 3-5 mms) in Junagadh. Mumbai: getting cloudy on Saturday. With SW winds, the chances of rains increase. Saturday will be cloudy, with some rain by evening. Night will see showers or thunder showers. Sunday will be cloudy, cool and rain in parts of city. Some showers could be light to medium. Day's high around 26c. Crisp cool night. Amount of precipitation could be upto 20 mms. Pune can also expect showers, from Saturday night. Some heavy on Sunday, amounting to total rains of around 15 mms. Sunday will be cool at around 23c as maximum. Heavy thunder showers for Nagpur on Sunday afternoon/evening. Maybe around 20-25 mms. Gusty South winds. Similarly, rains also expected in Akola region from Sunday thru Monday morning. Around 10 mms. Goa can also get some showers on sunday. Most likely by late afternoon and night. Would expect around 5-10 mms in Goa. New Delhi: Thunder showers, from Saturday night. Cloudy with gusty Sout-Easterly winds, and some showers on Sunday, Monday also seeing thundershowers. Accumulated rainfall from Saturday night thru Monday evening could be as high as 45-50 mms. Day will drop to 21c on Sunday. As we see the end of February, Auragabad will witness a wet end of the Month. Saturday, 28th night, Aurangabad can get some showers with thunder. Normally, we can get some rains in March, and on 1st March, Sunday, again Aurangabad will have a cloudy and wet day with rains. 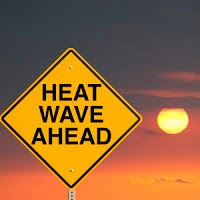 Currently, the city is warm showing temperatures around 35c in the day.The first day of March will be cold and cloudy, with the day temperatures not rising over 23/24c, against a normal of 32c. Around 15-20 mms rainfall expected. Now, this is not going to be good news for the farmers and mango growers. The mango trees are already in the flowering stage and in many cases small fruits are already on the blooms. A little rain even can cause damage. But with the predicted rains, damage cannot be ruled. Even in the fields, ready and harvested cotton and wheat crops will be subject to unseasonale rains. This may result in rotting and spoiling the harvests. Normally March does get a few rainy days, with the temperatures generally getting warmer. The Western Disturbance (W.D.) as an upper air cyclonic circulation lies over North Pakistan & adjoining Jammu & Kashmir and extends upto mid- tropospheric levels. The Western Depression over central Pakistan and adjoining Punjab & north Rajasthan is now seen as an induced upper air cyclonic circulation over Punjab & neighbourhood and extends upto 0.9 km above mean sea level. Last few years we notice MAHARASHTRA receiving more pre-monsoon rains (march/april/may) with hail stones. What about southern India - they are absent to decreasing trend. TN/AP may face another drought? Rains have stopped in Mira Road,North Mumbai. sset TN is getting good rains, even posted 1st 100 mm in the peninsular india. Raining again heavily here in Mira Road,North Mumbai since 10 minutes. vasai got very heavy rains for 30 mins, virar interior was flooded. Very heavy rains lashed vasai ,virar villages flooded .march month vasai virar lashed by torrential rains.